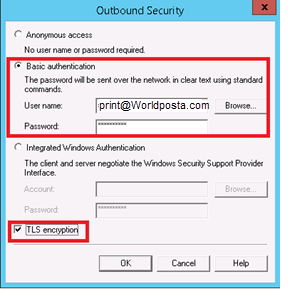 The solution is to set up a mail rely server, and configure it to accept email inside the network either anonymously or with basic authentication over unencrypted connection and then to the email onward via WorldPosta servers. 1. Launch the Server Manager. 2. Select Manage > Add Roles and Features from the upper right menu. A wizard will start. 4. 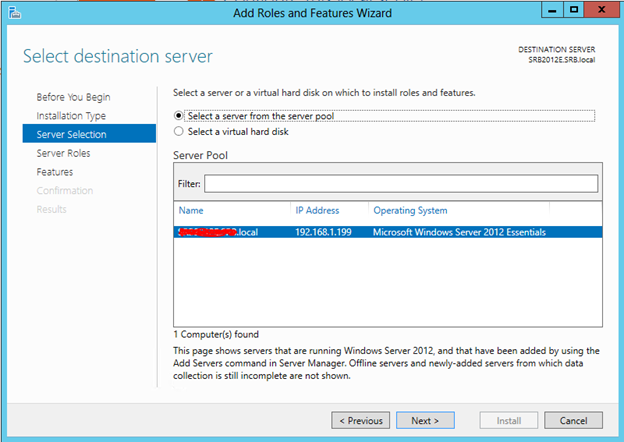 Select the Essentials Server (highlighted by default). 5. 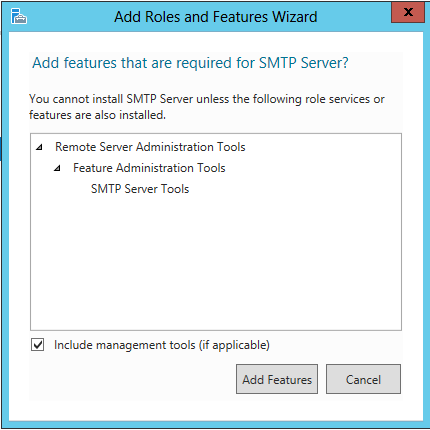 Click Next to bypass the Server Roles selections. 6. 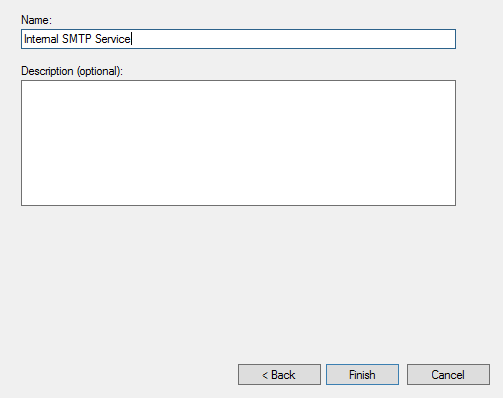 In the feature part, scroll down and check SMTP Server. 7. A new window will appear to inform you that other services will also be installed. 9. When the installation finishes, click Close. 1. 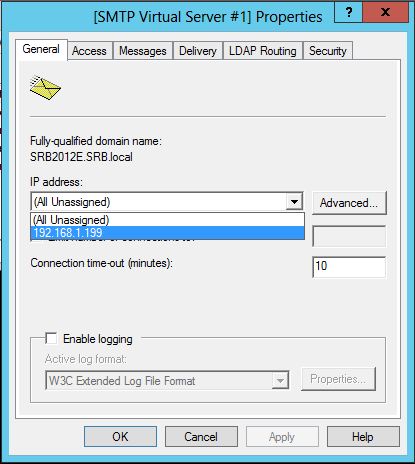 Open search then type IIS, run Internet Information Services (IIS) 6.0 manager. 2. 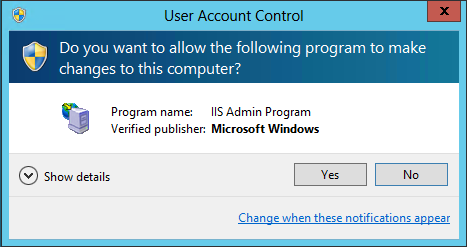 Click Yes to User Account Control prompt. 3. 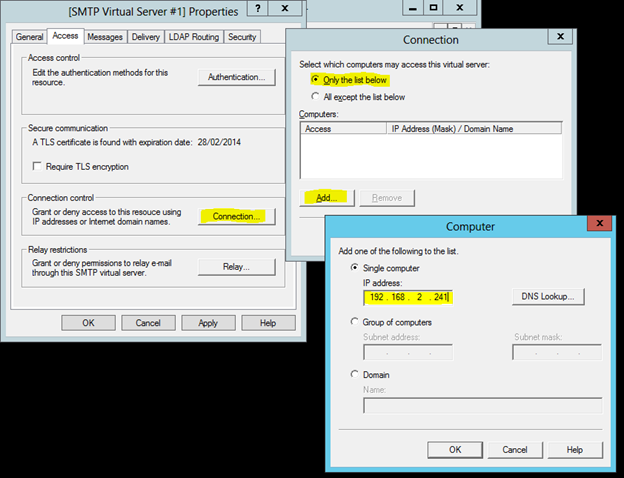 Expand the SMTP Virtual Server, Then right-click and select Properties. 4. 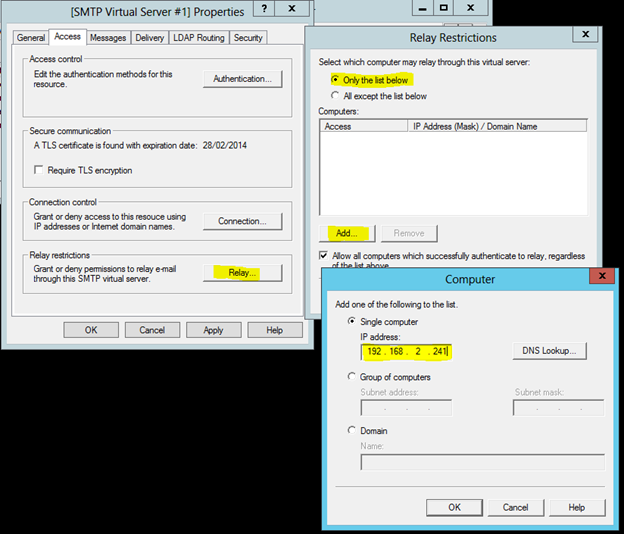 In General Tab, under IP Address, set the IP address to the server’s IP Address. 5. In the Access tab, set the IP for the internal devices in the connection button. 6. Add the same IP to the Relay list. Next, open the Outbound Security window. 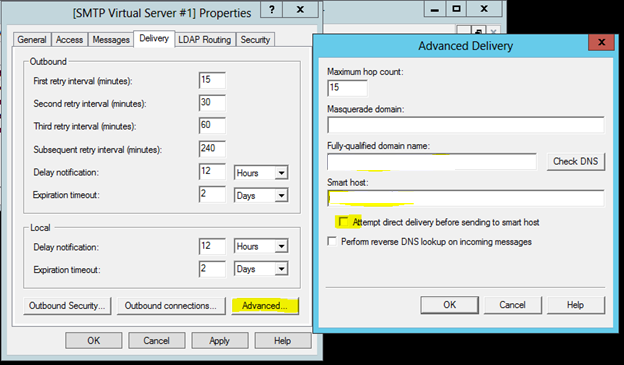 Enter details of an account that is authorized to send through the server configured on the “Advanced Delivery” page – I’d recommend setting up an account specifically for this purpose with your email provider. You’ll also need to tick the “TLS encryption” checkbox, or we’ll be trying to authenticate in-the-plain against the provider’s server putting us right back to square one! 8. 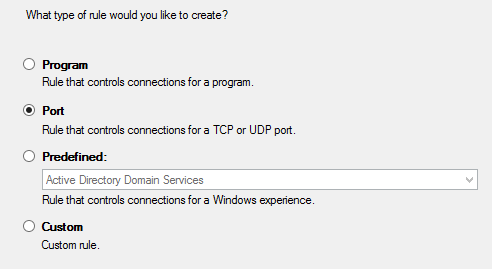 From Search, Type Firewall to locate to run Windows Firewall. 11. Type in 25 as the local port. 12. Click Next > Allow the Connection. 13. Uncheck Public to prevent external access to the server. 14. Give the rule a name and click Finish. 15. 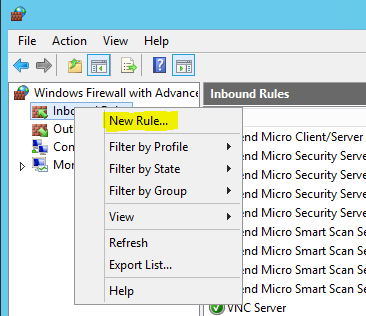 You should now see a new rule enabled in the firewall management console. 16. 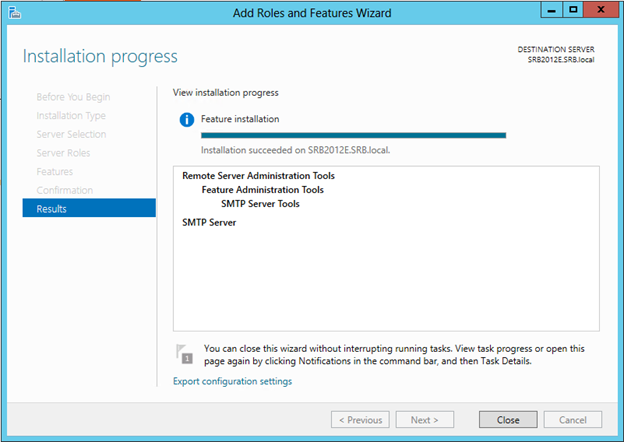 Restart the SMTP Service and set the service for Automatic Start. 17. Open up the Services Management Console. 18. Double-click on the Simple Mail Transfer Protocol service. 19. 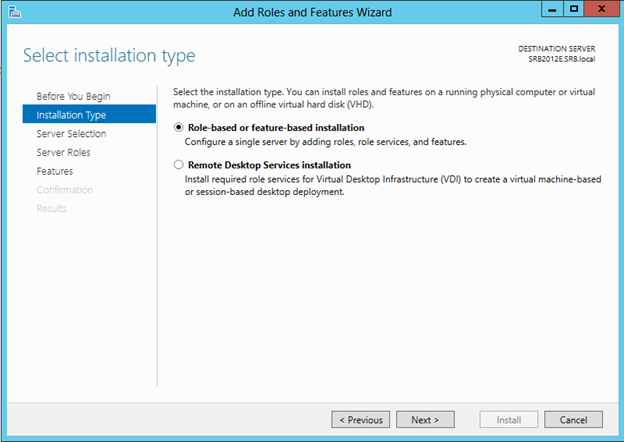 Stop and then Start the service, then Set the Startup type to Automatic. 2. 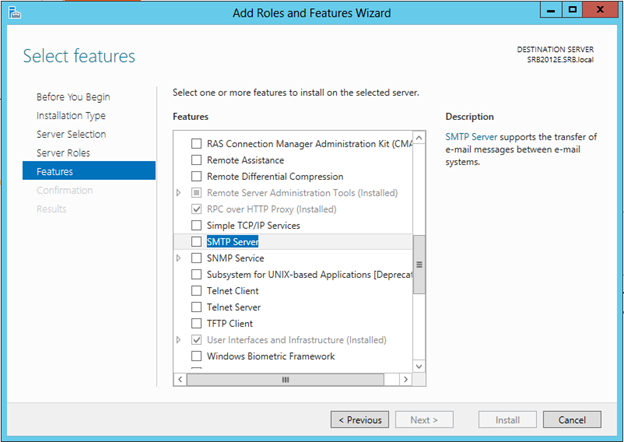 Enter the device IP in the Mail Server field, and then click Test Email Server.